Check the listings for your state. Follow the instructions to submit your interest in purchasing a specific home. If more than one person submits an offer on a single home a selection will be made by random lottery. You must meet the requirements for a law enforcement officer, teacher, firefighter or emergency medical technician and comply with HUD’s regulations for the program. HUD requires that you sign a second mortgage and note for the discount amount. No interest or payments are required on this “silent second” provided that you fulfill the three-year occupancy requirement.The number of properties available is limited and the list of available properties changes weekly. To learn more, please visit the HUD website. Maryland Homefront, offered by Maryland’s Department of Housing and Community Development (DHCD’s) Maryland Mortgage Program (MMP), provides military veterans and active duty military with a special interest rate discount of 0.25% for a 30-year, fixed rate mortgage, and Maryland HomeCredit, providing annual federal tax savings, free of all DHCD fees. The Department of Housing and Community Development is proud to launch our newest version of Maryland Homefront: The Veterans and Military Family Mortgage Program (Maryland Homefront). Homefront provides military veterans and active duty military with a special interest rate discount of 0.25% for a 30-year and a fixed rate mortgage, This initiative is in appreciation of the contributions made by members of the United States armed services and their families. All qualified borrowers under this initiative are also eligible to receive $5,000 for down payment and closing cost assistance through the Maryland Mortgage Program’s Down Payment Assistance Program plus any applicable Partner Match funds. Note that this program is not applicable to refinances. Talk to an approved Maryland Mortgage Program Lender about possible Down Payment Assistance options available to you. Talk to a Lender – Your lender can help you confirm your eligibility for the Homefront Program and will make sure you meet all the requirements, such as attending the right Homebuyer Education Class. Check Your Eligibility to see whether you can apply for a Maryland Mortgage Program loan. Note that being eligible to apply does not guarantee approval, and lenders will take into account things like your income, credit history and employment situation when considering your application. Complete a Homebuyer Education Class – Completing a Homebuyer Education prepares you to make the right decisions when purchasing your home. Homebuyer Education classes are available throughout Maryland, and are provided by a range of Community and Non-Profit organizations as well as local government housing agencies. Learn about Down Payment Assistance – The Maryland Mortgage Program provides help in the form of Down Payment Assistance alongside a range of Partner Match programs from employers, developers and community organizations that can cover down payment and closing costs. You must have Adobe Reader to view and print PDF documents on this page. If you do not have it, download it for free. For more information visit the Department of Housing and Community Development Maryland Mortgage Program. Loans and grants for home repairs in most areas of Maryland. NOTE: Because citations and other information may be subject to change, please always consult the program instructions listed in the section above titled “What Governs this Program?” Applicants may also contact your local office for assistance. ited State Department of Agriculture offers housing repair loans, also known as the Section 504 Home Repair program, to provide loans to very-low-income homeowners to repair, improve or modernize their homes or grants to elderly very-low-income homeowners to remove health and safety hazards in certain areas of Maryland. Be the homeowner and occupy the house. Be unable to obtain affordable credit elsewhere. Have a family income below 50 percent of the area median income. For grants, be age 62 or older and not be able to repay a repair loan. Live in an eligible area. For more information visit United States Department of Agriculture Rural Development. Additionally, a city property tax assessment freeze is available for a period of up to 10 years. The length of the freeze depends upon the amount of the expenditure in relation to the pre-improvement market value of the property. In 2006, this program was expanded to include not only the Canal Place Preservation District, but also all National Register of Historic Districts within Cumberland. Maps of these districts are available on our Historic District Maps page. Application forms are also available by emailing Kathy McKenney, Cumberland’s Historic Planner at kathy.mckenney@cumberlandmd.gov. IHA’s Purchase-Repair Homeownership program participants are paying less for homeownership than they were for rent, and they are building equity immediately! IHA’s Purchase-Repair Homeownership Program provides affordable homeownership opportunities to families and individuals that wouldn’t otherwise qualify for a traditional mortgage. Program participants receive free technical assistance from IHA through the entire homeownership process, from credit repair and budget counseling, preparation of the loan application, locating and placing an appropriate home under contract, how to repair and maintain their home, as well as on-going post-purchase counseling to eliminate any chance of foreclosure in the future. The entire community benefits by revitalizing neglected communities, reusing infrastructure and preserving existing housing. This program is currently available in Carroll, Frederick, and Washington counties in Maryland. Click here to download a pre-qualification worksheet. Call or email Carol if you need more information about this program. Her phone number is (301) 662-4225 ext. 1209 or visit their website. We are pleased to announce that as of September 21, 2016 additional funds have been made available to support the Baltimore Homeownership Incentive Program (B-HiP), including the Vacants to Value Booster Program. We are now accepting applications from buyers purchasing a home that qualifies for the Vacants to Value Booster incentive program. For more information, and to submit your application, contact Michael Guye, Director of Homeownership at 410-396-3124 or Michael.Guye@baltimorecity.gov. Over 360 home buyers have benefited from $10,000 in down payment and closing cost assistance when buying a formerly vacant, renovated house. You could be next! Home buyers can use 203K loans to build renovations into their mortgage. Many homes are already beautifully renovated by Vacants to Value developers in growing neighborhood markets. Please note: The eligibility guidelines for this program have been modified recently. A house is eligible for this program only if it was subject to a Vacant Building Notice for a year or more prior to its rehabilitation for sale to a home buyer. You can find more information about this change here. View samples of houses that have been pre-qualified for this incentive here. For more information, contact Michael Guye, Director of Homeownership at 410-396-3124 or Michael.Guye@baltimorecity.gov. Baltimore City’s Vacants to Value (V2V) Program offers several options for buyers wishing to purchase a home in the City. There are formerly vacant, fully rehabbed properties for sale, or you may wish to buy a currently vacant home and complete the renovation yourself. The rehabbed properties qualify for a $10,000 down payment incentive, and may qualify for other programs as well. Visit the Baltimore Housing website for more details. Queen Anne’s County Department of Community Services, Housing and Community Services is pleased to announce the Moderately Priced Dwelling Unit (MPDU) Deferred Second Mortgage Program for moderate-income homebuyers in Queen Anne’s County. Under this program, eligible recipients can receive funding to help purchase a home. This funding comes in the form of a deferred loan that will be made to qualified applicants which doesn’t have to be paid back until the property is sold or is no longer the primary residence. To qualify, an individual or family must complete the application process and meet all of the requirements as outlined in the MPDU Second Mortgage Financing Program Guidelines. In addition, there are income requirements as outlined in the maximum allowable income chart. Please review the guidelines and application documents listed below. If you have any questions, contact Candice Darling at 410-758-3977, ext. 2070. Hours: (Except holidays): Monday – Friday 8 a.m. – 4:30 p.m. The Maryland Mortgage Program (MMP) is offered through the Maryland Department of Housing and Community Development (DHCD). Eligible borrowers can work with an approved MMP lender to apply for a Maryland Mortgage Program home loan, which provides homebuyers with a 30-year, fixed interest rate home loan along with Down Payment Assistance. Is the Maryland Mortgage Program Right for Me? Buying a home is a big deal. For Marylanders just like you, it may be the single largest purchase you make, and will impact your family’s life for years to come. For many people, becoming a homeowner can mean stability, greater control over how you live, and the potential for building wealth and equity for your family’s future. Read more about the benefits of Homeownership. You may have heard about the Maryland Mortgage Program (MMP) from a friend or a neighbor, from an ad you saw on a fast-moving bus or from a flyer you picked up at an event, and now you’re wondering if this program can help you move into a home of your own. Charles County Settlement Expense Loan Program (SELP) provides direct financial assistance of up to $6,000 for settlement expenses to qualified low-income and moderate-income first time home buyers in Charles County. The loan is secured by a second mortgage, repayment of which is deferred until such time as the property is resold, transferred, refinanced, or the buyer discontinues occupancy of it as a principal residence. The Charles County Commissioners signed a Memorandum of Understanding with the State of Maryland’s Department of Housing and Community Development (DHCD) to participate in the “House Keys 4 Employees” (HK4E) program. This program provides down payment/settlement expense assistance to first time home buyers who wish to purchase a home in Charles County. This program is available to all Charles County Government employees subject to the Policy and Procedures Manual for Charles County, Maryland and, who have been employed with the County at least one (1) year and who are purchasing a home in Charles County, through the Maryland Mortgage Program (MMP) with a qualified DHCD Community Development Administration (CDA) lender. Qualified Charles County Government employees may receive a 0% interest $5,000 deferred loan from the Charles County Commissioners to be used towards down payment/settlement expenses for their new home. In addition, the State DHCD will also contribute a 0% interest, deferred $2,500 loan to bring the total amount of assistance to $7,500 for eligible employees. For more information, look at the Charles County Employee Information Sheet or contact the Department of Human Resources at 301-645-0563 (internal extension 2563). The Deferred Loan Program offers below market-rate rehabilitation loans for owner-occupied properties. Loans are available to low- and moderate-income households. Typical repairs qualifying for this assistance include, but are not limited to: furnace, roof, electrical, and plumbing repair, and accessibility improvements for elderly/handicapped homeowners. Households below 80% of Baltimore City median income levels (see chart below). The underwriting staff will determine eligibility for specific loan programs following review of the application, income verification, credit reports, tax assessment and property value. Structural repair promotes safe and adequate living conditions for all property residents. Maryland law requires compliance with health and building codes. Loans are available to qualifying households with a 3% simple interest rate. The homeowner makes no monthly payments, and all payments are deferred until after the sale, refinance or transfer of title to the property. Download an application for assistance and a lead hazard information pamphlet or call (410) 396-3023 to have one mailed to you. Employees of City agencies and quasi-City agencies* with six months of experience are eligible for $5,000 when purchasing their first home in Baltimore City. Houses up to $417,000 in cost are eligible and no income limits apply. Police officers, firefighters and teachers are also eligible for purchasing HUD homes at discounted prices through the Good Neighbors program. You can download an application for the Baltimore City Employee Homeownership Program here. For more information about this program, contact Marva Allette at 410-396-3124 or Marva.Allettte@baltimorecity.gov. *Quasi-City Agencies currently include the following: Baltimore Area Convention and Visitors Association, Baltimore Convention Center, Baltimore Development Corporation, Baltimore Housing, Baltimore Main Streets, The Baltimore Museum of Art, Baltimore Office of Promotion and the Arts, Baltimore Rising, Downtown Partnership of Baltimore, Emerging Technology Center, Empower Baltimore Management Corporation, Enoch Pratt Free Library, Mayor’s Office of Employment Development, Mayor’s Office of Minority and Women-Owned Business Development, Parking Authority of Baltimore City, Small Business Resource Center, Visit Baltimore, Walters Art Museum, Waterfront Partnership of Baltimore. For a limited time, ​​eligible homebuyers in Prince George’s County can take advantage of two incredible homeownership programs to get our most affordable home loan available. The Redevelopment Authority of Prince George’s County, through their Pathway to Purchase program, can provide up to $10,000 in down payment and closing cost assistance to be used in the purchase of eligible Prince George’s County properties. Homebuyers can combine this with the Maryland Preferred Rate Program, which offers our lowest possible interest rate on a 30-year fixed-rate loan. Down payment and closing cost assistance through Prince George’s County’s Pathway to Purchase program is available as a 0% interest loan that must be paid back when the home is sold, transferred, or ceases to be the primary residence of the buyer(s). However, the Pathway loan amount decreases at a rate of 10% per year and after 10 years is completely forgiven and the lien is released. Defaults on a first mortgage loan results in the remaining balance of the Pathway to Purchase loan changing to a rate of 5.75%. Homebuyers apply separately for each program – scroll down for information on steps to take to start your applications. Homebuyers can purchase a home anywhere in Prince George’s County. Eligible residential properties also include new construction, resale, short sales and foreclosures, as long as they meet other applicable program guidelines. To learn more click on the below link. Income restricted financial assistance for first time buyers in Anne Arundel County. The Mortgage Assistance Program is currently offering a special promotion for a maximum loan amount of $25,000. This special promotion will end on June 30, 2017 OR until funds are exhausted. MAP funds are available on a first come, first serve basis. ACDS must receive a fully ratified sales contract by June 30, 2017 OR until funds are exhausted. On July 1, 2017, the maximum loan amount will return to $20,000. The Mortgage Assistance program (MAP) provides income eligible, homebuyers with up to $25,000 in assistance to purchase a first home. MAP funds can be used toward down payment, closing costs, and mortgage write-down and can be used in conjunction with FHA and MD Community Development Administration (CDA) loans. Assistance may not be provided to households whose total household income, from all sources, exceeds 80% of Area Median Income. Up to $20,000 is currently available, depending on an eligible client’s need. First-time homebuyers who do not exceed the income limits and who have successfully completed the ACDS Homeownership Counseling Program prior to entering into a contract to purchase. An existing or newly constructed residence, including detached, semi-detached and attached townhomes and condominiums, located within Anne Arundel County. The home must be owner-occupied or vacant at the time the offer to purchase is made, except when the existing tenant is the one making the purchase. The property must meet the ACDS Property Minimum Standards for code and safety. The maximum sales price is $271,000.00 for existing homes and $304,000.00 for new construction. Assistance is provided as a loan, not a grant. However, the terms are very favorable, include 0% interest, and there are no monthly payments. Loans are due and payable upon sale, transfer of property, when the property ceases to become a primary residence, or in 30 years; whichever comes first. Please visit our Lender/Realtor page to learn more about our processing requirements regarding contracts to purchase, inspections, loan documents, and settlement requirements. The homebuyer must contribute a minimum cash contribution of one percent of the sales price from their funds. 1. Accessible Feature tax incentives are for certain features that are permanently installed to improve access to or within an owner’s principal residence (not limited to single-family homes). 2. Level I (VISITable) tax incentives are available for permanent installations to any new or existing single-family homes, townhomes and duplexes that meet Level I accessibility threshold. 3. Level II (LIVEable) tax incentives are available for permanent installations to any new or existing single-family homes, townhomes and duplexes that meet Level II accessibility threshold. For new home construction a school impact tax credit may be available for projects meeting Level I and Level II Accessibility standards. Whether you are a first time homebuyer, young family, active adult, or person living with a temporary or permanent impairment, these additional design elements will enhance your home — and at the same time, meet your needs and your visitors’ needs throughout your life. The Design for Life Accessibility Standards for Level I (VISITable) and Level II (LIVEable) incorporate design elements such as a no-step entrance, which make it easier and safer to accommodate a person living with a temporary or permanent impairment, accommodate friends or relatives who have mobility limitations or even bring in a baby stroller or move in large furniture. Ultimately, homes that incorporate these features will help people age in place more comfortably, conveniently and cost effectively. Montgomery County’s Moderately Priced Dwelling Unit (MPDU) Program offers affordably priced townhomes and condominiums – both new and resale – to first-time homebuyers who have a moderate household income (see list of minimum and maximum income levels below). When MPDUs are available for sale, DHCA conducts Random Selection Drawings to determine who is eligible to purchase them. Participants are selected to purchase a home based on a number of factors. Households must be able to qualify for a mortgage; pay a down payment; pay settlement fees including advance taxes and advance insurance; and pay a monthly mortgage payment, utilities, and other costs. Special financing and down payment and closing cost assistance are available through the Housing Opportunities Commission. In addition, MPDU owners are responsible for all home maintenance, home improvements, condo fees (if applicable), and compliance with homeowner or condominium rules and regulations. For new homes, the builder is responsible for all warranty items. During the control period, the owner must occupy the home. The unit may not be rented out. During the control period, the owner must not refinance the property for more than the controlled resale price established by the MPDU office (owners are prohibited from refinancing the property based on the market value of the property). During the control period, the owner can only sell the home at the MPDU established controlled resale price through the MPDU Program to an approved MPDU purchase program participant. During the control period, MPDU owners must not purchase another property. When the property is sold after the control period, the owner must pay 50% of the profit to Montgomery County. After the control period expires, it is strongly recommended that owners contact the MPDU office prior to refinancing their MPDU. Refinancing does not relieve the owner of the obligation to make a shared profit payment to the County upon sale; therefore, it is important not to refinance for the full market value. You will get to own a home in Montgomery County at a greatly reduced price. Living in Montgomery County provides access to high quality services and schools. By purchasing an MPDU home with a standard 30-year fixed rate mortgage, your monthly mortgage payment will not increase each year, unlike rent which landlords typically increase annually. You will be able to deduct mortgage interest and real estate taxes from your income tax. You have the freedom to make improvements to your home. When you sell your MPDU home during the control period at the MPDU controlled resale price, you will get back what you originally paid for the MPDU, plus inflation and the cost of eligible improvements. When you sell your MPDU home after the control period at a market resale price, you will keep half of the profit. You are NOT eligible to participate in the MPDU purchase program if you currently own a house or have owned a house anywhere in the past five (5) years. Financing Applicants for the MPDU purchase program must provide a mortgage pre-qualification letter from an HOC participating Mortgage Lender in an amount of at least $120,000. Special financing and down payment and closing cost assistance are also available through the Housing Opportunities Commission (HOC). How to Apply – Easy as 1…2…3! NOTE: You must take the First Time Homebuyer Class before the Orientation Seminar. You just need to take both of these two classes before signing up for the Application Session. DHCA does not mail applications for the MPDU purchase program. New, first-time participants in the MPDU program need to attend the first two required training sessions (Steps 1 and 2) in order to receive an application to participate in the MPDU program. They must then attend an Application Session (Step 3) to turn in their completed application. These classes are designed to answer all your questions about the MPDU program, provide information about the home purchase application and selection process, and provide information about home ownership responsibilities. Current participants in the MPDU Program who have already taken the first two classes and who have already received a Certificate of Eligibility do not need to take the first two classes again – however, they must still attend an Application Session (Step 3) to turn in their renewal application and supporting documents. The Family Self Sufficiency program requires that the head of household enter a five-year contract with the Housing Authority during which time the family will receive supportive services. The Housing Choice Voucher Program (HCVP), also referred to as “Section 8”, is a “tenant-based” voucher program that provides tenants the opportunity to live where they choose. The Moderate Rehabilitation Program (Mod Rehab) provides project-based rental assistance for low-income families. 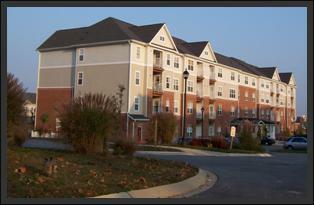 The Housing Authority owns and manages 392 units of public and assisted housing in Prince George’s County. The Rental Allowance Program (RAP) provides fixed monthly rental assistance payments to eligible lower-income homeless persons and households with critical and emergency housing needs. The HUD-Veterans Affairs Supportive Housing program combines Housing Choice Voucher rental assistance for homeless Veterans with case management and clinical services provided by the Department of Veterans Affairs. The Settlement Expense Loan Program (SELP) provides assistance to low and moderate income, first-time homebuyers. The County can lend up to $10,000 to income-eligible purchasers to help pay down payment and closing costs required in the purchase of an existing home within the designated Community Conservation Areas of Baltimore County. You must first attend a First Time Home Buyers Workshop. Call 410-887-3124 for a schedule of Workshops and their locations. After attending the workshop, you must also make an appointment for individual financial counseling with a housing counselor. This will all be explained at the Home Buyers Workshop. You are not eligible for a SELP loan if you already have a signed contract to buy a house. Visit The Baltimore County Department of Planning website. Cumberland Neighborhood Housing Services, offers homebuyers a grant of up to $2,000.00 toward closing costs to encourage home purchases in the City of Cumberland. The grant is funded in part by funds from Community Development Block Grants (CDBG). These grants are offered on a first-come, first-serve basis and assist 50-60 homebuyers per year. On average, the homebuyer’s closing attorney will receive the disbursement of the grant two weeks in advance of the settlement, requiring application of the grant no later than two weeks before closing. A notice of 14 days is required to process disbursements for this program. No lien is placed on the homebuyer’s property. There is no repayment of this grant. Participation in Homebuyer Education and graduation from the program is required by CNHS. The ten hours worth of Homebuyer Education may be completed over several days or several weeks. CNHS offers courses several times per month. Homebuyers should enroll in courses prior to or immediately following application for home purchase financing. Applicants should immediately inform the mortgage loan processor (broker or bank) that they are obtaining a grant for closing costs. Costs eligible for the program are those costs totaling the dollar amount reflected on the Closing Disclosure. Applications are received, reviewed for completeness and eligibility, and processed by the counselor. Funds are distributed on a first-come, first-closed basis, meaning that availability is dependent upon closing the loan as soon as possible. Grants are not reserved or held for clients. All application information must be received, including proof of all income and a Contract of Sale. Funds are disbursed to the closing attorney upon receipt of the Letter of Commitment or Loan Approval, a copy of the Homebuyer Education Certificate, and submission of the name and address of attorney and the date of closing. All applications are to be submitted to Cumberland Neighborhood Housing Services, 400 N. Mechanic Street, Cumberland, Maryland 21502. To obtain a grant application or ask questions, please call 301-722-6958. Because income guidelines change frequently, applications are not made available online. Purchasing a home is one of the best ways to invest in your future; however it is often the largest financial transaction most people will make. The Housing Opportunities Commission (HOC) is committed to making home ownership in Montgomery County affordable by offering qualified buyers home loans and down payment/closing cost assistance. A Maryland HomeCredit can save a homebuyer tens of thousands of dollars over the life of a home loan, and makes owning a home more affordable. A Maryland HomeCredit can save a homebuyer tens of thousands of dollars over the life of a home loan, and makes owning a home more affordable. Together with a home loan through the Maryland Department of Housing and Community Development’s Maryland Mortgage Program, which offers Down Payment Assistance and the certainty of a 30-year fixed interest rate, the State of Maryland is making the dream of sustainable homeownership a reality for more Marylanders than ever. You may already know about the mortgage interest deduction that most homeowners already claim each year on their federal taxes. The Maryland HomeCredit Program is different, and provides a federal tax credit to eligible homebuyers. A tax deduction reduces the homeowner’s “taxable income”. In contrast, a tax credit, such as the Maryland HomeCredit, provides the homeowner with a reduction in their actual federal tax liability. The Department’s Maryland HomeCredit Program provides eligible homebuyers with a federal tax credit that may be claimed annually, the value of which is equal to 25% of the value of mortgage interest payments (up to $2,000) paid each year, for the life of the loan (i.e. until payoff, sale, refinance or transfer). Homebuyers apply for a Maryland HomeCredit through an approved mortgage lender. The Lender will confirm the borrowers’ eligibility for this program, and submit an application to the Maryland Department of Housing and Community Development. Who Can Get a Maryland HomeCredit? The home you purchase must be your primary residence. Also visit the Department of Housing and Community Development Maryland Mortgage Program. The Baltimore City Special, a partnership between the Maryland Mortgage Program and Baltimore City, gives eligible homebuyers purchasing in Baltimore City $7,500 in down payment and closing cost assistance. This short-term financial incentive is provided by Baltimore City and the state of Maryland to help working families achieve homeownership. Eligible homebuyers can take advantage of t​his assistance by purchasing their home through the Maryland Mortgage Program, which has helped thousands of families achieve homeownership and comes with the security that only the state’s flagship homeownership program can provide. Talk to a Lender – Your lender can help you confirm your eligibility for the Baltimore City Special Program and Maryland Mortgage Program and will make sure you meet all the requirements, such as attending the right Homebuyer Education Class. Check Your Eligibility to see whether you can apply for a Maryland Mortgage Program​ loan. Note that being eligible to apply does not guarantee approval, and lenders will take into account things like your income, credit history and employment situation when considering your application. You must have Adobe ​Reader to view and print PDF documents on this page. If you do not have it, download it for free. Howard County Housing, in partnership with Guidewell Financial Solutions, has designed an initiative to promote successful homeownership in Howard County, Maryland. Educational workshops and one-on-one counseling will be offered on a monthly basis to households purchasing a home in Howard County, and/or participating in Howard County Housing’s (HCH) homeownership and rental programs, including, but not limited to, the Settlement Downpayment Loan Program (SDLP) and Moderate Income Housing Unit (MIHU) program. Guidewell Financial Solutions is a HUD-approved housing counseling agency and the workshop curriculum is derived from guidelines established by the National Industry Standards for Homeownership and Counseling. Individuals and families interested in purchasing a home in Howard County are invited to attend. Interested participants can register by emailing homebuyerclass@howardcountymd.gov or calling 410-313-6328. Please note that Howard County’s certificate for completing the counseling is not valid in Anne Arundel County, Baltimore County, Harford County or Baltimore City. If you are planning on purchasing in one of those counties, please access the Maryland Mortgage Program website at www.mmp.maryland.gov to locate the appropriate counseling agency. More information available on the Howard County Website. A financial incentive program for Baltimore City first time buyers whose employers participate in the program. This partnership between participating employers and the City of Baltimore is designed to encourage homeownership near place of employment. The City of Baltimore matches participating employers’ contributions between $1,000 to $2,500. Over 80 employers are currently enrolled in the program. A listing of employers can be found in the Baltimore Homeownership Incentive Programs packet. You can also download the Live Near Your Work -Employer Application. Of special note is the Johns Hopkins Live Near Your Work Program, which now offers $36,000 and $27,000 in designated neighborhoods near the hospital and university. Applications are accepted on an open and continuous basis. To ensure that housing choices continue to be available to its residents and employees with moderate incomes, the City Council passed the Moderately Priced Dwelling Unit Law in 2004. This law requires that 12% of the houses for sale in new subdivisions of 10 or more units be moderately priced dwelling units (MPDUs). This means that the sale price or rent is below the market rate for other units in the same development. The Maryland Mortgage Program (MMP) is offered through the Maryland Department of Housing and Community Development (DHCD). The Maryland Mortgage Program (MMP) is offered through the Maryland Department of Housing and Community Development (DHCD). For a limited time, eligible homebuyers that that purchase a home in one of Maryland’s Sustainable Communities, and who have at least $25,000 in student debt may qualify for a 0.25% discount on the standard MMP mortgage rate. This program is primarily for first time homebuyers, but exemptions apply. The Frederick County Homebuyer Assistance Program (HAP) administered by the Frederick County Department of Housing and Community Development (DHCD) helps local families with limited resources obtain their first home, by providing up to $7,000 in closing cost assistance. The HAP Program is used in conjunction with state or federal first mortgage programs (USDA, FHA, CDA or VA). The application is submitted on behalf of the homebuyer by the first lender. The Fact Sheet has program details regarding eligibility requirements, income limits and loan amounts. For the required homebuyer education training contact the Frederick Community Action Agency at (301) 600-1506. The Maryland Mortgage Program provides significant support to homebuyers through competitive rate mortgage loans; down payment assistance and Partner Match Programs, helping Marylanders overcome upfront financial barriers associated with down payment and settlement expenses. Homebuyers that are eligible for a Maryland Mortgage Program home loan are also eligible for a down payment assistance loan of up to $5,000. Through the Community Partners Incentive Program (CPIP) MMP will match our Homebuyer Assistance Program up to a maximum of $2,500 when the homebuyer uses the State’s Maryland Mortgage Program loan to purchase their home. The Homeownership for Individuals with Disabilities Program is offered through the Maryland Department of Housing and Community Development (DHCD) and is available statewide. Learn more about Maryland Mortgage Programs here. The Maryland Pathway to Homeownership program gives eligible homebuyers in Garrett County incredible financial incentives that put homeownership within reach. Available through the Maryland Mortgage Program, this Garrett County initiative gives you more buying power and makes it easier for your family to establish your family in the community. For More Information about Maryland Mortgage Program, contact us today! Are you looking to buy a home in Wicomico County? The Maryland Department of Housing and Community Development, in partnership with Wicomico County, is providing attractive financial incentives to help make buying newly-constructed homes even more affordable. Maryland Mortgage NewBuild in Wicomico County offers several ways to save money today and for years to come. Maryland Mortgage NewBuild loans are provided through the Maryland Mortgage program, and come with the security that only the state’s flagship program can provide. Program Flyer and Program Fact Sheet. Home Possible® mortgages offer low down payments for low- to moderate-income homebuyers or buyers in high-cost or underserved communities. Click on link below and learn to Discover the Possibilities with Home Possible. Reduced rate, no PMI loan for purchase and purchase/rehab in certain neighborhoods of Baltimore City. Healthy Neighborhoods oversees a $30.5 million private loan fund and provides special below-market loans to homebuyers and homeowners in Baltimore City to encourage investment and standard-setting renovation. Healthy Neighborhoods provides four innovative loans to eligible borrowers. For a list of loan pool lenders who have contributed to this fund, click here. The Home Repair Program helps income eligible Howard County homeowners make repairs to their homes. The home repairs help the homeowner meet local housing codes for health and safety conditions. Repairs may include, but are not limited to: heating and air systems, electrical wiring, plumbing, roofs, windows and doors. The Home Repair Program has served the community for many years, and helped to preserve homes for residents of Howard County. Homeowners have been given the chance to make improvements to their home, thus reducing housing blight in many neighborhoods. The County can also assist homeowners with repairs or improvements to assist with mobility, hearing, or vision issues. These repairs can help make it easier to get in or around the home. Ramps, chair lifts, or grab bars are just some of the modifications that can be made through the program for eligible households. You must be the homeowner and live in the home. It must be a single family residence located within Howard County. Your household must meet the family size and income limits determined by the U.S. Department of Housing and Urban Development (HUD). All property taxes and outstanding home mortgages must be current, and home must be covered by hazard insurance. Please call 410-313-6318 option 4, Monday – Friday from 8:30 a.m. to 5:00 p.m., or email at dgillen@howardcountymd.gov. Upon receipt of the general information, someone will contact you to confirm pre-eligibility for the program and schedule a home visit to complete an application. Howard County Housing also administers the Maryland Whole Home program to county homeowners. Maryland WholeHome offers grants and loans from the Maryland Department of Housing and Community Development to assist homeowners with a variety of upgrades and repairs, including: the installation of energy efficient appliances; repair or replacement of heating and cooling systems; removal of lead paint; and addressing structural and maintenance issues. The program offers low-interest loans and grants based on needed work, household income, and the homeowner’s ability to repay. For more information, contact Howard County Housing Home Repair Program at 410-313-3508. The MIHU Program is an inclusionary zoning program that requires developers of new housing in specific zoning districts to sell or rent a portion (generally 10-15%) of the dwelling units to households of moderate income. MIHUs are sold or rented at affordable prices and rents set by Howard County Housing. Base sale prices for MIHUs range from $228,000 for a condominium to $322,000 for a townhouse. Prices vary depending on the size and amenities of the unit. Rents range from about $1,068 to $1,620. MIHUs are interspersed throughout each development and enjoy all of the amenities of each community. An individual wishing to purchase an MIHU must fill out an application form during one of four open enrollment periods held throughout the year — during the months of January, April, July and October. For more information, call our MIHU Division at 410-313-6343. To learn what happens after you submit your application read: ” Now What” ? The application includes information about the applicant’s income, assets and household size. In addition, an applicant may qualify for one or more purchasing preferences, such as: a first-time homebuyer, living or working in Howard County, or employed by County government, the school system, or a nonprofit organization. Once an application is received and determined complete, the applicant’s name is placed on a waiting list. As for-sale MIHUs become available, eligible applicants are notified and invited to attend a lottery drawing to select an eligible purchaser for each home. The selected purchaser must contract with the seller, obtain a mortgage commitment, and pay all downpayment and settlement costs. Applicants interested in MIHU rentals may apply directly to a participating rental community at anytime during the year. MIHUs are rented on a first-come, first-serve basis. MIHUs are interspersed throughout each community and residents enjoy all the amenities of the community life. Rental management addresses and phone numbers can be found on the Apartments for Rent page below. Read our most ” Frequently Asked Questions” about our MIHU program. Questions? Call the Department of Housing and Community Development at (410) 313-6318 for additional information about housing unit types, unit sizes, purchase or rental prices and further details about how you can become eligible for affordable housing opportunities. Baltimore City offers a variety of incentive programs to homebuyers, homeowners, and renters. Each program has specific qualifications, managed by different city departments or nonprofits. If you think you qualify, contact the program administrator listed for the program you are interested in. Live Baltimore does not manage or fund any of these incentive programs, but we can help you review your options and put you in touch with the organizations that do. PURPOSE: To assist homebuyers with financing for settlement/downpayment costs. SCOPE: Loans are available through Howard County Housing for settlement and downpayment costs. All loans will be deferred, due upon sale of home, refinance, or default. Low interest rates at 2 points below the primary mortgage interest rate. Lenders will process all requests. Income limits: See income chart located in the information packet below – page 4 (income limits subject to change every January and July). House price limit: $429,620 (CDA purchase price limit for Howard County applies). First-time homebuyer for HomeStarter, HomeSteader, and DreamMaker Loans. First-time homebuyer restriction not required for Revitalization and Workforce Initiative Loans. Have a minimum of $1,000 to apply towards settlement/downpayment costs plus one month PITI (mortgage payment) in savings account. Lack sufficient funds to pay for the total settlement/downpayment costs. Must be approved for a fixed rate primary mortgage loan. Complete an application with an approved lender. Once the loan is approved with your lender, the lender will reserve funds directly with HCD. The lender will send all the required documents, including the application, to HCD for processing funds. Funding reservations are made only by the lender once all the necessary documents, including the primary mortgage loan approval letter, have been submitted to Howard County Housing. If you’re a soon-to-be homebuyer or a lender who’d like to know more, see our SDLP Information Packet. You may also contact Linda Phillips, SDLP Administrator with the Department of Housing & Community Development at 410-313-6318, option 4, or lphillips@howardcountymd.gov. All homebuyers participating in the Settlement/Downpayment Loan Program are required to participate in pre-purchase counseling. Certificates are issued to the homebuyer in order to settle on the home purchase.Funds are currently available and are offered on a first-come, first-serve basis. Interested homebuyers should contact a participating first mortgage lender to begin the application process. Availability of funds is limited. Calvert County is home to numerous safe, attractive residential communities. Residents are drawn to the county’s rural character, good schools, low taxes and low crime rates. City Living Starts Here is a $5,000 incentive to use toward buying a home anywhere in Baltimore City. You must attend a City Living Starts Here Tour to become eligible for the $5,000 incentive. Every year, there are up to four opportunities to get $5,000 toward buying your home! See when the next City Living Starts Here Tour is in the Upcoming Events section of this website. 1. The mortgage amount cannot exceed $517,000. 2. 10 individuals will be selected by lottery to receive awards, following each event, from a pool of eligible applicants. 3. Incentive applicants have 10 business days after attending the City Living Starts Here event to obtain a contract of sale on a home and submit paperwork to become eligible for the lottery drawing. 5. Contracts signed prior to the event will not be eligible for the City Living Starts Here incentive. 6. Co-signers, cash sales, or owner financing are not permitted. 7. Short sale, foreclosure transactions, and new constructions do not qualify. 8. Homebuyer must earn their Homeownership Counseling Certificate from a City-approved counseling agency before writing a sales contract. 9. The home must be the homebuyer’s primary residence. 10. Homebuyer must invest a minimum of $1,000 from personal resources. 11. Incentive may be used toward downpayment and closing costs. 12. Incentive is a five-year forgivable loan (Your balance is forgiven by 20% each year, at the end of five years you no longer have a balance). 13. This incentive may be used in addition to other incentives. 14. Incentive appears as a second lien on property until the balance is forgiven or repaid. Also, for additional information about these programs, other homeownership opportunities, Baltimore neighborhoods and city life, you can also visit Live Baltimore. Live Baltimore offers instant analysis of incentive program eligibility. The Single Family Rehabilitation Loan Program is designed to assist income eligible homeowners with low cost or no cost loans to correct hazardous conditions, eliminate safety hazards, repair or replace major systems, correct interior and exterior deficiencies, energy improvements, modifications for persons with disabilities and eliminate lead based paint hazards. The Emergency Repair Program is designed to assist income eligible homeowners with a grant to repair or replace a major system which has failed or is in imminent danger of failure and which poses a hazard to the occupants’ health or safety. The Maryland Housing Rehabilitation Program (MHRP), like the Single Family Rehabilitation Loan Program, is designed to assist income eligible homeowners with low cost or no cost loans to correct hazardous conditions, eliminate safety hazards, repair/replace major systems, correct interior and exterior deficiencies, energy improvements, modifications for persons with disabilities and eliminate lead based paint hazards. This program is funded by the Maryland Department of Housing and Community Development. The above information is a brief summary of these programs. Detailed regulations, policies and procedures govern the programs. For additional information or to schedule an appointment to file an application, contact the Housing Rehabilitation Program staff or visit their website for more details.